Melon Juice: My Summer Thirst Quencher! Summer is indeed really just around the corner. And summer does remind me of my favorite thirst quenchers! One of them is Melon Juice. This summer thirst quencher is so easy to prepare. 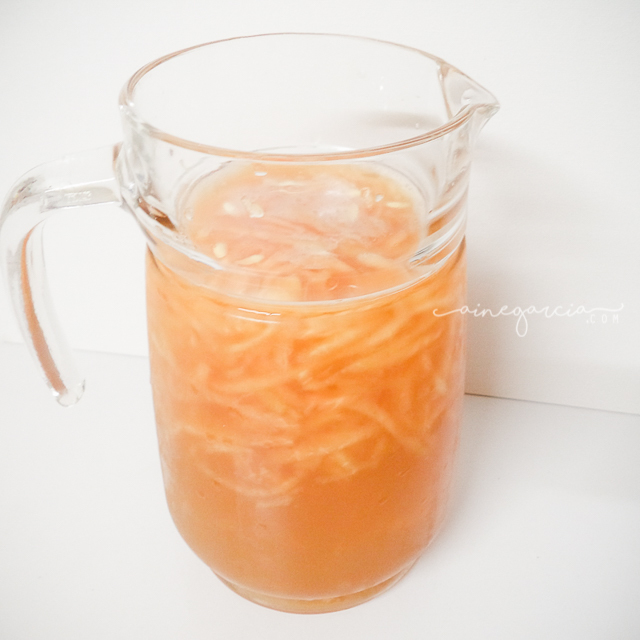 You just need to add water and sugar to a pitcher of shredded melon and you're good to go! Just a quick tip though, do not add milk if you're not planning to consume it right away. Refrigerating the juice with a milk for a few hours turns the melon bitter. So drink it right away if you want your melon juice with milk in it. And aside from mangoes, melons are good for making fruit shakes too.